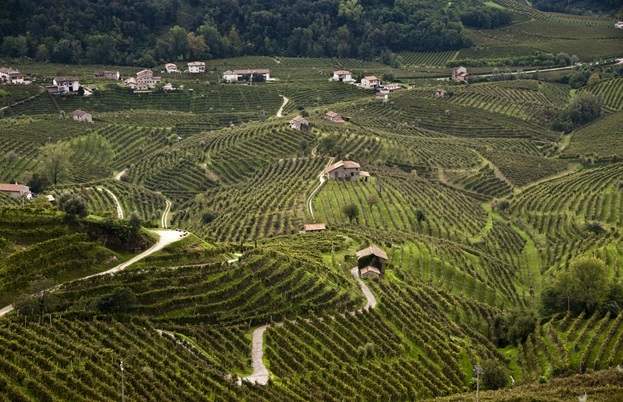 Marco Rossi turns his expert eye (and palate) to Veneto, the home of Prosecco. Think of the Veneto region and you’ll instantly be filled with joy thanks to its most famous wine – Prosecco! But Veneto is so much more; it is a land of traditions, innovations, farmers and thinkers, a very big region that has been cultivating vines since the Etruscan times. Veneto’s wine suffers from a slightly split personality. On the one hand you have the lightness and brightness of the sparkling wines made using Glera grapes coming from the Conegliano Valdobbiadene area, which are made to drink straight away, but on the other you can experience large and majestic wines such as Amarone, made from a blend of ancient grape varieties such as Corvina , Corvinone and Rondinella. These are wines that elegantly conquer the palate with big, bold flavours – especially when they are allowed to age. It’s no coincidence that Vinitaly, the most important wine exhibition in Italy, has taken place in Verona since 1967. Veneto is a region of colours; the lush sea blue, the bright white of its most important peaks jutting through the thick gray fog and the splendid green of the hills that guard the historical buildings of Venice, Verona , Treviso, Padua and Vicenza. It goes without saying that with such a complex and varied land there was a need from the very beginning to protect the different varieties of wine. There are fourteen DOCG and twenty-seven DOC appellations in Veneto, which cover over twenty percent of Italy's ‘quality wine’ production. If you pay a visit to the bars around the small villages of Veneto you’ll see the carved, charming faces of the locals, who speak using one of the most melodic dialects in the country while holding a glass of ombra (a 100ml glass of wine) or sipping the much more famous spritz. The production of red wine is slightly lower than white, with some varieties so rare that they’re almost impossible to find outside of Veneto. Despite this, the grape that covers more than thirty percent of the vineyards is actually Merlot. This is exactly what we mean when we say ‘the student surpasses the teacher’! Amarone is a drier spin-off of Recioto (a sweet wine) made with ancient grape varieties such as Corvina, Rondinella and Corvinone. The grapes are left to dry out, like raisins, to increase the amount of sugar. Fermentation is long, and the wine is aged in oak barrels for at least twenty-six months – but is definitely worth the wait. Prosecco is the most popular sparkling wine in the world and now often outsells Champagne. 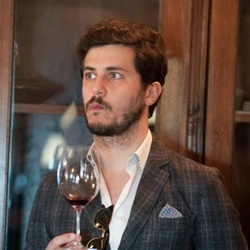 This DOCG is newly established, even though this wine – made with at least eighty-five percent Glera grapes – has been present in this territory for nearly fifty years as a DOC. There are big differences in style from plot to plot and producer to producer but the wine is always extra dry and has quite a recognisable identity. The hills where Glera grapes are grown range from fifty to 500 meters above sea level, resulting in the characteristic fruity notes Prosecco is famous for. There are two different ways of re-fermenting the wine to give it its characteristic fizz (naturally and mechanically); this discrepancy perfectly expresses the dual personality of Veneto, one that keeps walking the tightrope between tradition and innovation. This appellation isn’t very well known internationally, but I'm quite sure that’ll soon change. Bardolino is a ‘lake wine’, born from an exceptionally mild climate and a unique terrain. The main variety used is Corvina which, along with Corvinone, has to make up sixty-five percent of the blend, but the remaining thirty-five percent leaves the producer to use local varieties (Rondinella, Molinara, Rossignola), other Italian grapes (Barbera, Sangiovese) and some traditionally from the Bordeaux area such as Merlot and Cabernet Sauvignon. The result is a red wine that doesn’t need aging, balanced with a low alcohol content and lots of fruit. 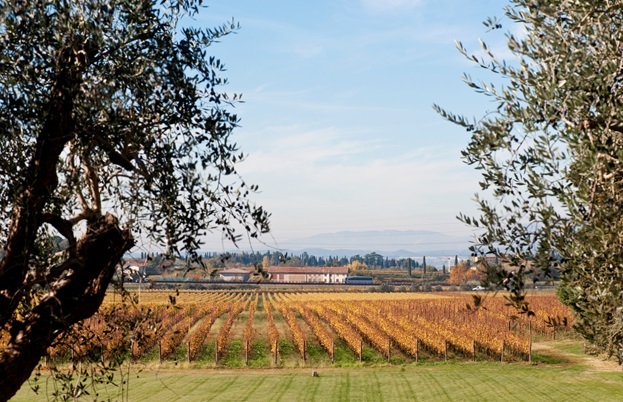 This is one of the oldest wine growing areas of Veneto, although it has only been regulated since the new era of Veneto wine growing began in the 1900s. 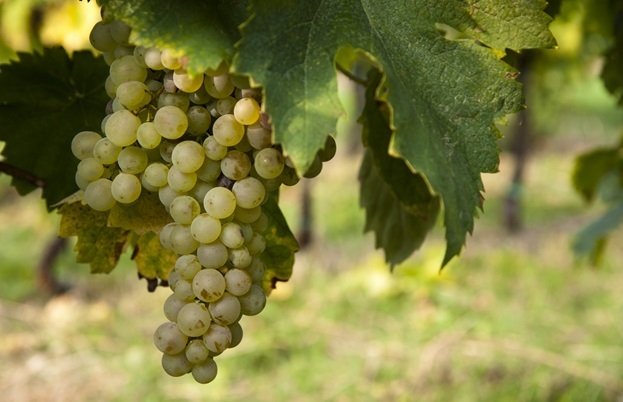 It’s mostly composed of two of the most important indigenous white grape varieties – Garganega, which has to make up at least seventy percent of the blend, and Trebbiano di Soave. The result is a wine not made for long aging but with a great acidity and good structure. This area rose to prominence due to the ease with which you could achieve excellent results using Bordeaux red grape varieties such as Merlot, Cabernet Sauvignon and Cabernet Franc for this DOC red wine. 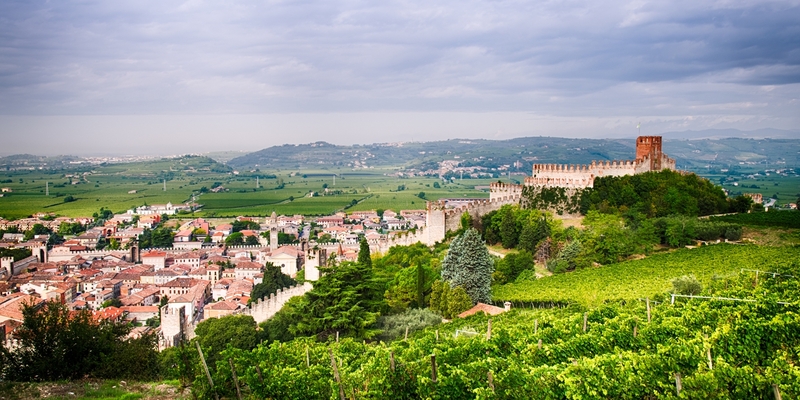 It’s important to note that Breganze is both an area of ​​modern and ancient viticulture. Here, you can find the indigenous grape varieties named Pedevendo and Vespaiola that characterise (along with other more common varieties) the sweet, white version of this DOC. Vespaiolo is a white wine obtained by using at least eighty-five percent of Vespaiola, while the dried version, called Torcolato, is obtained from a natural drying technique. 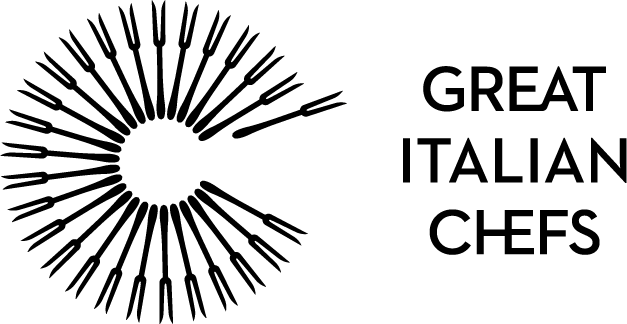 To make Veneto even more interesting there are many interregional IGT appellations, adding quite a few varieties to the already large roster of DOC and DOCG varieties. 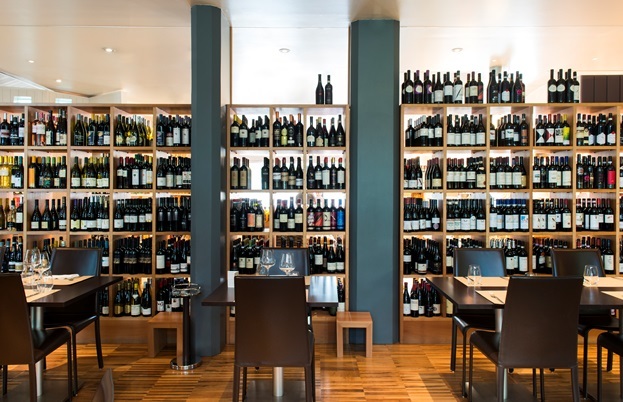 Among the IGTs, one can find red wines such as Pinot Noir that will win over even the most skeptical wine lover. The Torcolato wines outside the DOCG region are called Passito and are definitely worth keeping an eye out for. The various IGT white wines also offer excellent value for money.